Voted one of the "Best Momos in Town"
Always Fresh, Simple, and Delicious. We officially hit the road on June 23, 2016, with our first food truck to introduce authentic Himalayan region food to the Washington DC metro area. We want to spread the goodness of Himalayan food called ‘momos’. Our recipes are traditional with authentic ingredients, enjoyed for generations in the Himalayan Region. 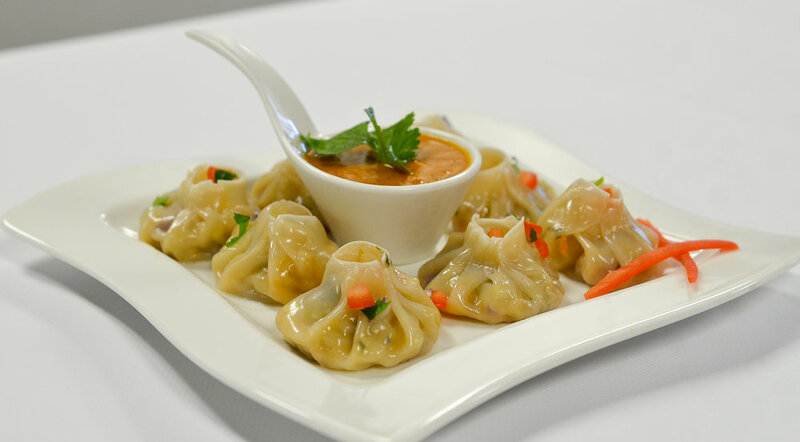 MOMO’s are popularly known as dumplings and is a favorite finger food of people in Nepal. We feel that the name Himalayan Soul Foods captures the essence of our creations. We believe in serving authentic Himalayan cuisine. Our founder Sujit Shakya holds a B.S. in Hotel and Tourism Management from the University of Wisconsin-Stout. We bring traditional Himalayan style of cooking to people all over the world. Steam ground chicken/pork/vegetable with red onions, ginger, cilantro, soy sauce and olive oil, served with hot salsa. Stuffed ground meat, red onions, ginger, soy sauce, scallion deep fried, served with red tomato and chili paste. Pan fried ground lentil, ginger, mustard oil, asafoetida. Topped with sunny side egg or ground meat, served with salad.